I have no complaints. I love it. It fits well. True to size chart. Great price for a great purchase! Classic tailed tuxedo suit with all the items required for any special occasion by Rafael Collection. 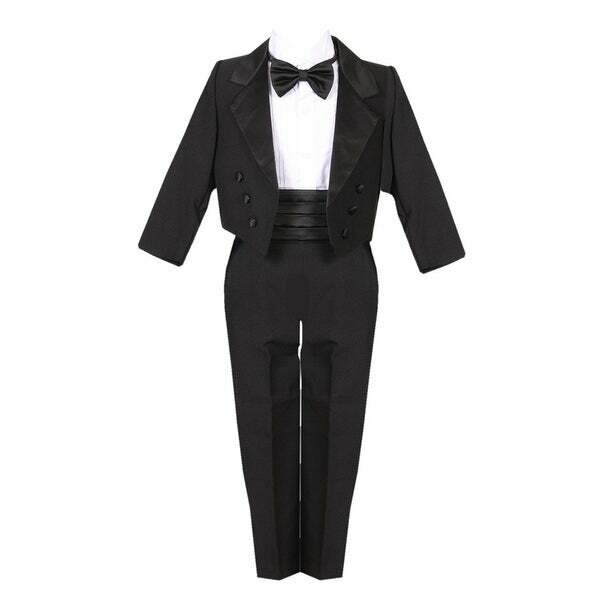 The set includes: a white dress shirt, an adjustable satin cummerbund, an adjustable satin bow tie, a classic tailed tuxedo jacket and tuxedo pants. The shirt is made from poly-cotton blend for comfort. Your little boy will look so sharp donning this suit reflecting refined elegance.